You have to elaborate. Tim Tebow is sort of a tool and Bruce won a gold medal in the Decathlon at a time when that mattered. Yea Tebow is a real tool. I guess you will find new respect for him if he starts wearing a dress and makeup. In the meantime Tebow will continue making disabled persons' lives better. Jenner can continue doing whatever the he** he does. By the way...Tebow won the Heisman when it mattered. I’m still wondering what the FBI will do. I’m not at all shocked the NCAA is doing nothing. Naturally it didn't take long for a copy of the transcript of Will's discussion with LSU officials to leak out. AD & President: Will, why haven't you wanted to talk with us? Will: My lawyers and I had to get my testimony straight for the upcoming trial. AD & President: How did that go? Will: Well, we have 2 choices. I can plead the 5th or I can tell them what happened. AD & President: And what did you decide? Will: I'm going to tell them what happened. AD & President: And what was that? Will: I thought I was doing everything right. I used the same people and the same pay scale as the LSU football team does. AD & President: Now wait, how about you plead the 5th, we reinstate you now, and agree never to ask you another question. Will: Works for me. Gotta go. The recruiting trail is heating up. Thanks guys. Its possible to make a compelling case that Tebow is a great person without dragging down Jenner, both can be great for similar and different reasons. Those d#mned Kardashians......and another victim. My expectations for some of you on this board were already very low to begin with. You shatter the expectations daily. It’s impressive. Could a 70 year old Caitlyn Jenner beat Will Wade in a Decathlon? I bet she could. PR I respect your opinion. I don't see anything selfless or altruistic about Jenner. Maybe it is because I don't think about him or Tebow at all. Perhaps I need more study and reflection. Back to the thread. Can you believe LSU? What a shameless, spineless group. If VCU did that my contributions and attendance would disappear. Sounds like something my mom would say. 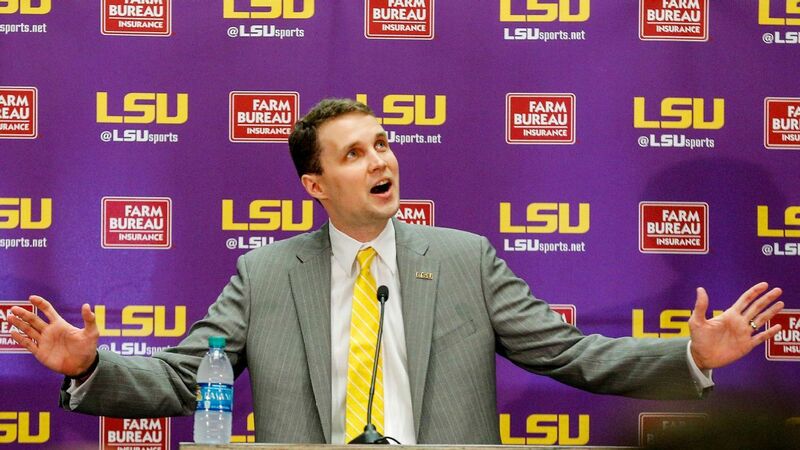 All Will Wade can do is run (from the law? ), so that's a no-brainer.